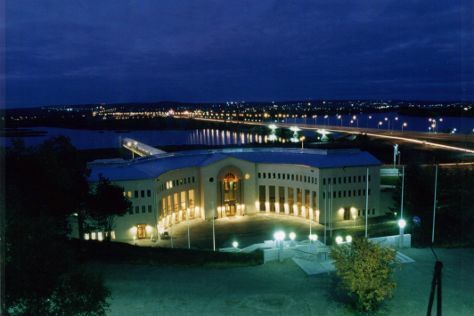 Get a sense of the local culture at Rovaniemi Church and Pilke Science Centre. Explore Rovaniemi's surroundings by going to Amethyst Mine Lapland (in Luosto), Sampo Icebreaker (in Kemi) and Pyha-Luosto National Park (in Pyhatunturi). There's still lots to do: take an in-depth tour of Arktikum, admire all the interesting features of Lappi Areena, snap pictures at Lumberjack's Candle Bridge, and find something for the whole family at Santa Claus Village. To find ratings, other places to visit, photos, and other tourist information, read our Rovaniemi online tour itinerary maker . December in Rovaniemi sees daily highs of -6°C and lows of -13°C at night. Finish your sightseeing early on the 26th (Wed) so you can travel back home.